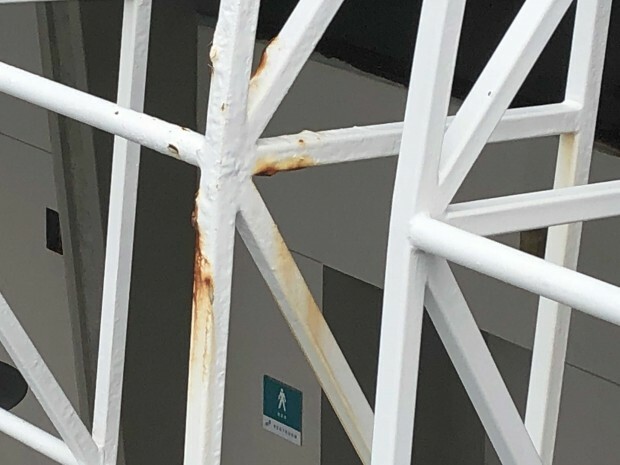 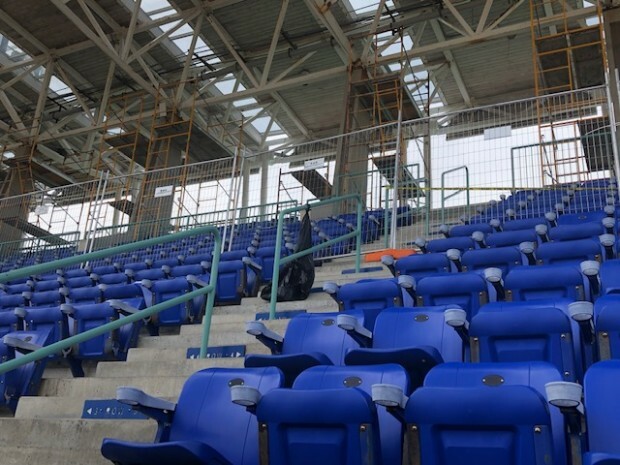 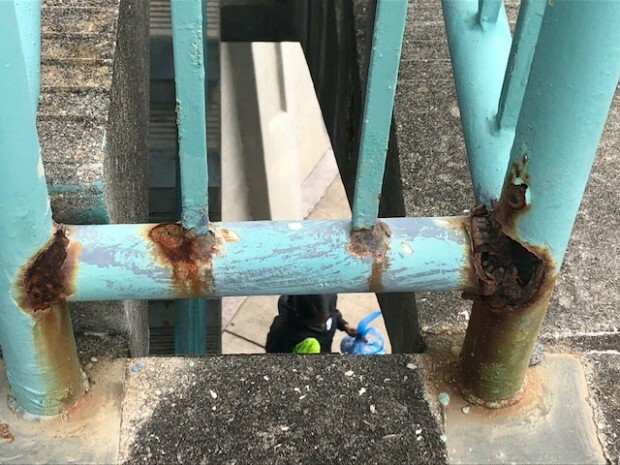 [Updated with photos] Members of the public will have limited access to the grandstand at the National Sports Centre as it undergoes remediation work. 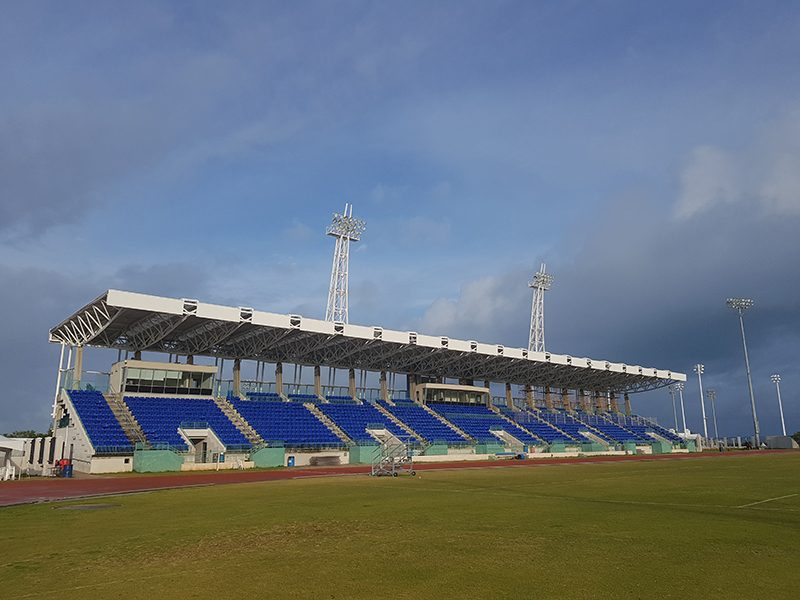 One million dollars has been allocated to the project which is being overseen by the NSC’s Board of Trustees and which is due to finish in August. 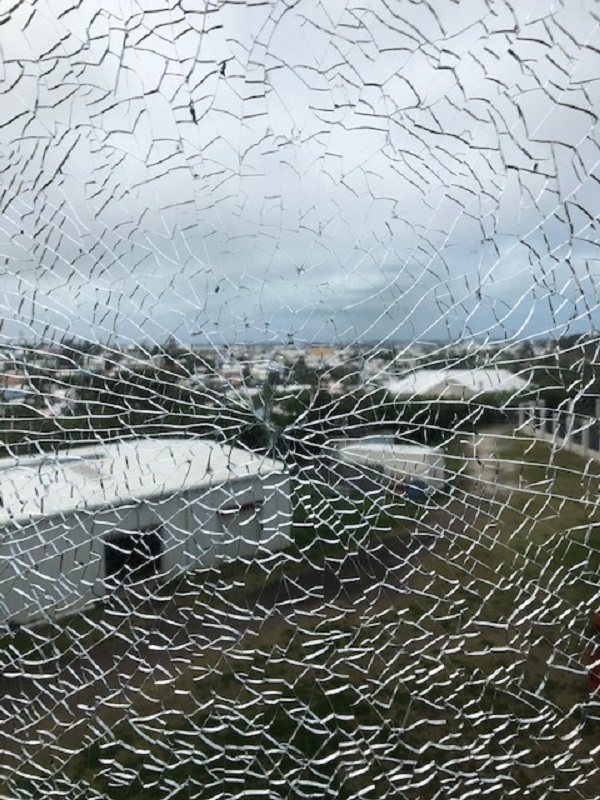 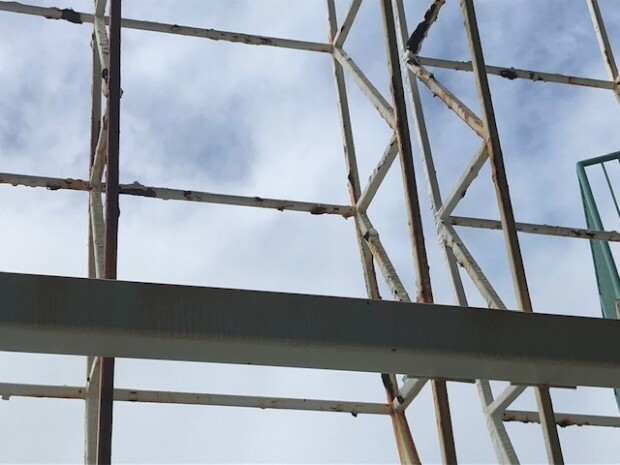 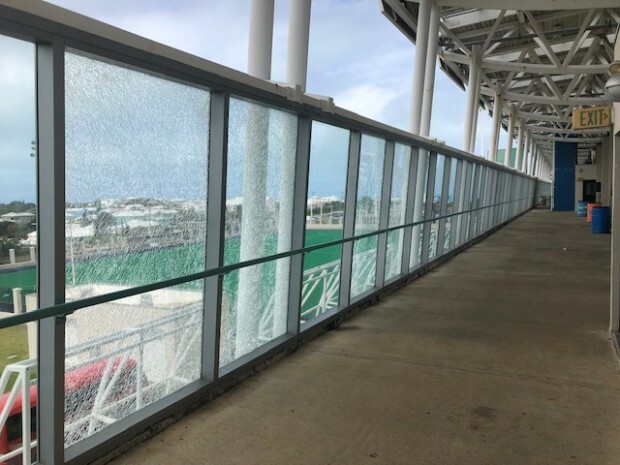 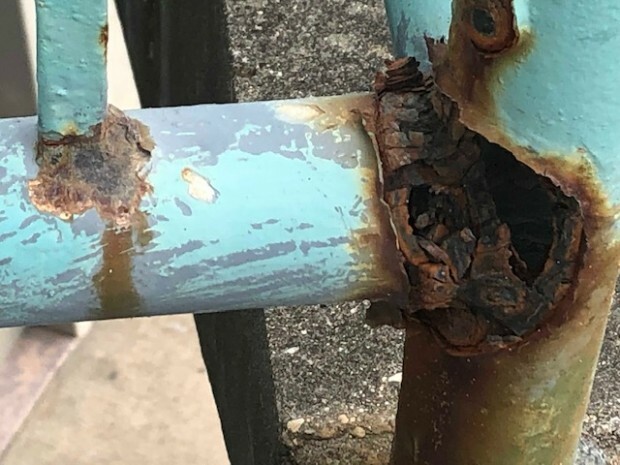 “The work involves power washing, sandblasting, painting, and replacing all parts relating to the integrity of the steel roof truss members and is being carried out by Bermudian firm, Sunrise Construction,” the NSC said. 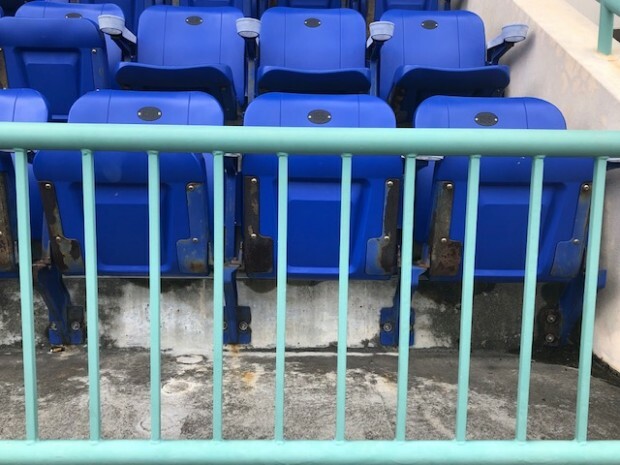 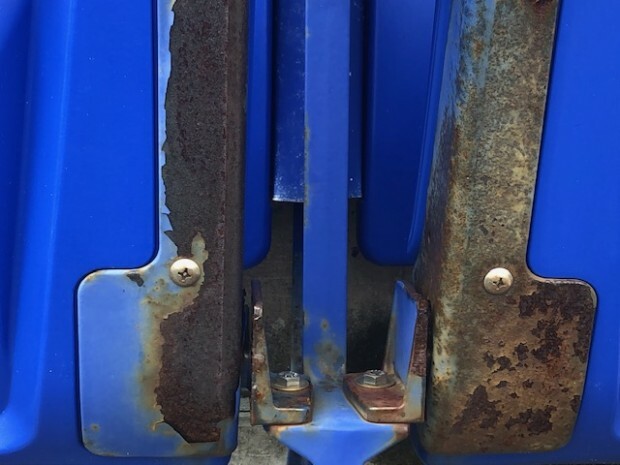 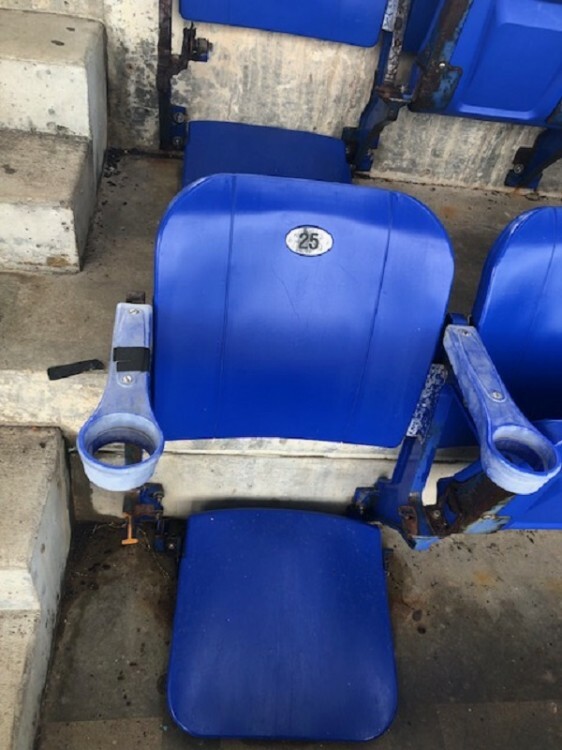 Craig Tyrrell, Operations Manager, said: “As a result of the work, some parts of the grandstand will be closed at various times, however we will give the public as much notice as possible regarding the affected areas, which will be cordoned off during the project.